The not so good news is that I can’t seem to keep my mouth shut while my kiddos are cooking. Let them dice a tomato with a steak knife? Nope. I CAN NOT do it. Beat cookie dough with a wire whisk? Makes me crazy. Remove cookies from the baking sheet with a rubber spatula? Are they trying to drive me to the brink? This past week, three of the four have been in the kitchen A LOT. Let’s just say there have been numerous “discussions”, heated discussions . . . ok, let’s call a spade a spade -tirades- about certain kitchen practices. The thing is, I love it that my progeny like to cook. I am proud of the fact that they are so tuned in to healthy eating practices. I grin when the 4 year old reminds me not to buy the Asian yogurt because it has Stevia in it instead of real sugar. I adore the looks on their proud little mugs when they serve their creations around the family table. So why, oh why, can’t I just zip it and let them navigate the kitchen on their own? Call it bossiness. Call it intolerance. Call it a downright character flaw. It’s all of that and so much more. But it’s also like so many of these challenges in parenting. Seems we mama types are always walking the beam and trying to balance between guiding, directing and instructing and just letting them explore and figure things out on their own. So on I trudge with the good fight. I try to bite my tongue, zip it, put a sock in it when necessary, and correct without losing it when possible. I have found that some dishes lend themselves to less correction and conflict than others. 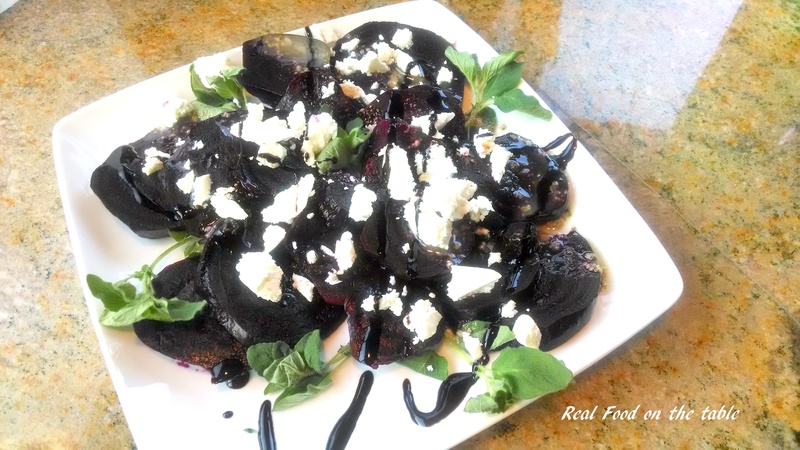 This little Roasted Beet Salad with Vinaigrette and Crumbled Goat Cheese is just one of those. We start with some nice red beets. These ones just happen to have come in our box of all organic and local produce which we have delivered every week by Abundant Harvest Organics. The kiddos trim the leafy stems (which are great for adding into smoothies by the way) and the pointed root ends. Then they wrap the bulb of each beet with aluminum foil. You see where I’m going here, right, not much room for variation in the execution of this cooking adventure. 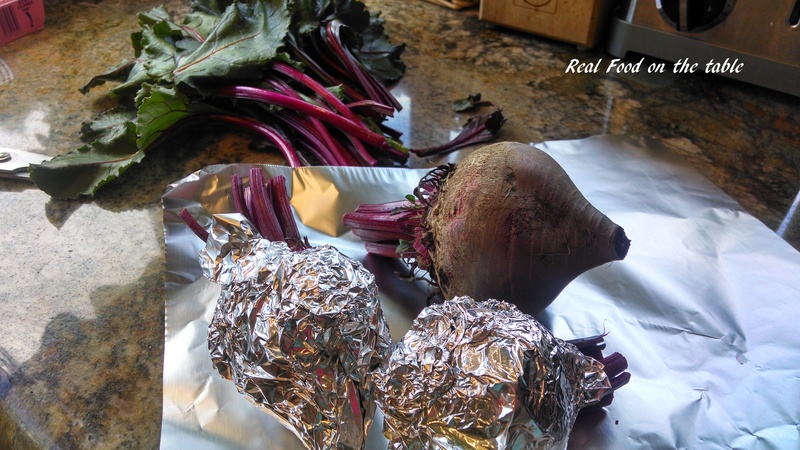 They preheat the oven to 425 and place the foil wrapped beets directly onto the oven rack. 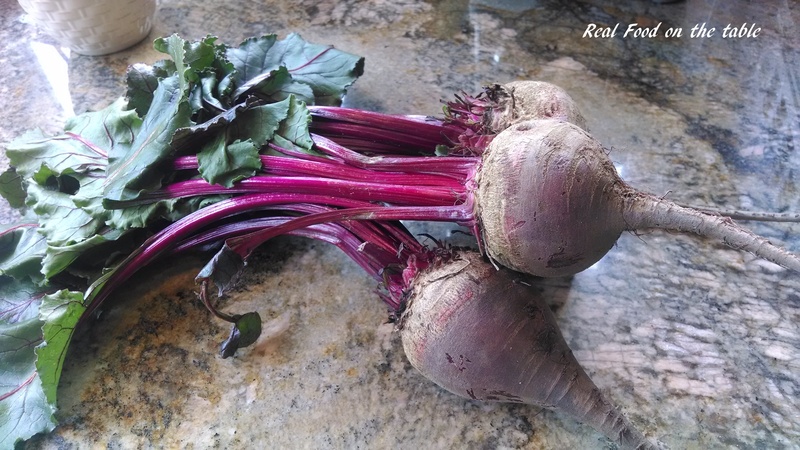 It takes 45 minutes to an hour to roast depending on the size of the beets. When they are soft and easily pierced by a fork, they are done. After they have cooled a bit, the kiddos remove the skin from the beets. The skin falls away really easily, but the hands can get pretty stained on this step. Possibility of kid correction — 70% depending on parental tolerance for messes and staining. At this point, the beets can be sliced, garnished and served immediately (sometimes I love a warm beet salad and other times I’m looking for something slightly chilled and refreshing), or just sliced, packaged up, and refrigerated and saved for serving later. In our case we refrigerated about a day and served up for the following night’s dinner. To serve, we just arranged them on a platter, drizzled with some homemade vinaigrette, and topped with goat cheese and fresh herbs. 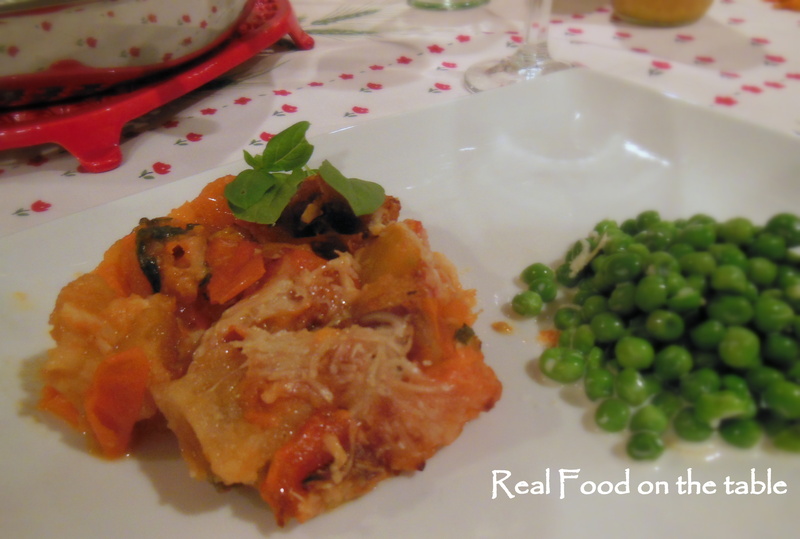 Simple, straightforward, and a wonderful first course! 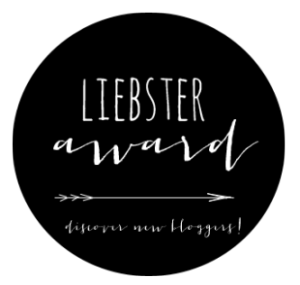 So go forth, Mama friends, spread those arms and walk that balance beam. Let those kiddos in the kitchen and let them spread their little culinary wings. But do me a favor, and if you see them trying to separate an egg using a measuring cup, slap them (humor) – – – I mean give them a little lesson and direction. So I have to ask, do you feel as unfulfilled as I do? OK, don’t answer that. It’s just that this “recipe and nothing but the recipe” thing isn’t quite working like I thought it would. I’m not really able to put things up that quickly, AND I miss what we used to have together. Again, if you’re OK with the new gig we have going on, just don’t hurt my feelings and keep it to yourself. Seriously though, I think we’ll just power through one more post after this one and chalk it up to a lesson learned. We will then return to our regular programming and I’ll get new things up as I can. After all, absence makes the heart grow fonder, right? But for today’s quickie, let’s just say I am overrun with tomatoes! They come abundantly in my weekly produce box and they have been coming abundantly from our own little backyard garden. I’ve done soups, BLTs galore, tartes, quiches, salads, and I’m just about tomato-ed out. But this recipe for Scalloped Tomatoes added another dimension to our tomato life just when I thought I had covered every possible angle to this red headed beauty (yes, we’re partial to the red around here). 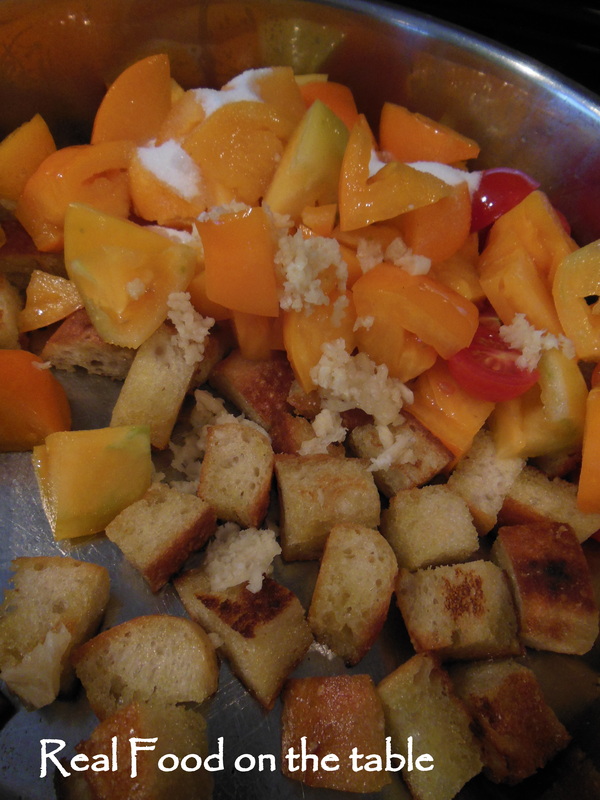 It’s really like a hot panzanella and very tasty. 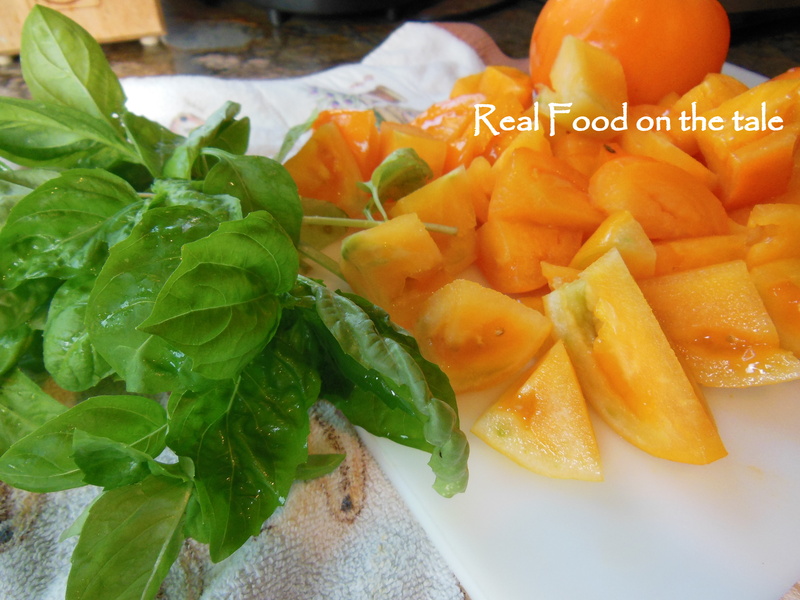 I started with an assortment of red and yellow tomatoes (mostly yellow, really) and a big bunch of basil (also from our backyard mini garden). 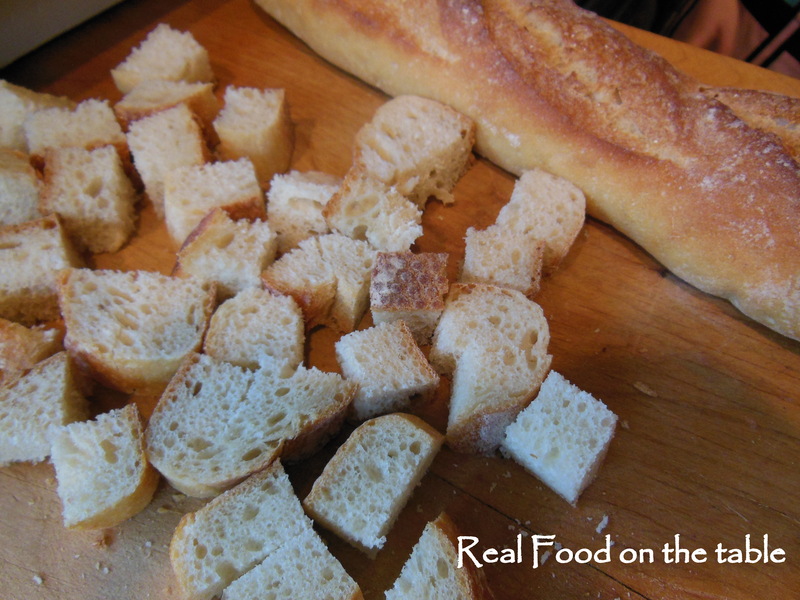 Then I cubed up a little over half of a French baguette (yep, partial to the French stuff too!). I heated some olive oil in a large skillet and tossed in the baguette. I cooked over medium heat for about 5 minutes until the bread cubes were evenly browned. After that I added in some garlic, the tomatoes, and a bit of sugar. I cooked that mixture for about 5 minutes longer, removed from the heat, seasoned with salt and pepper, and tossed in the basil. 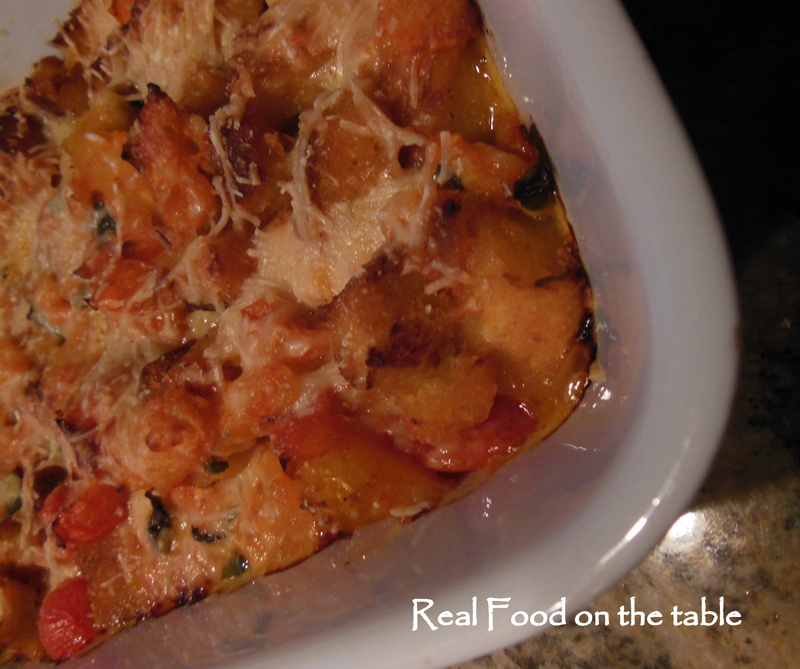 I poured the whole thing into a 9×13 baking dish and covered generously with Parmesan cheese. I then drizzled a little olive oil the top. 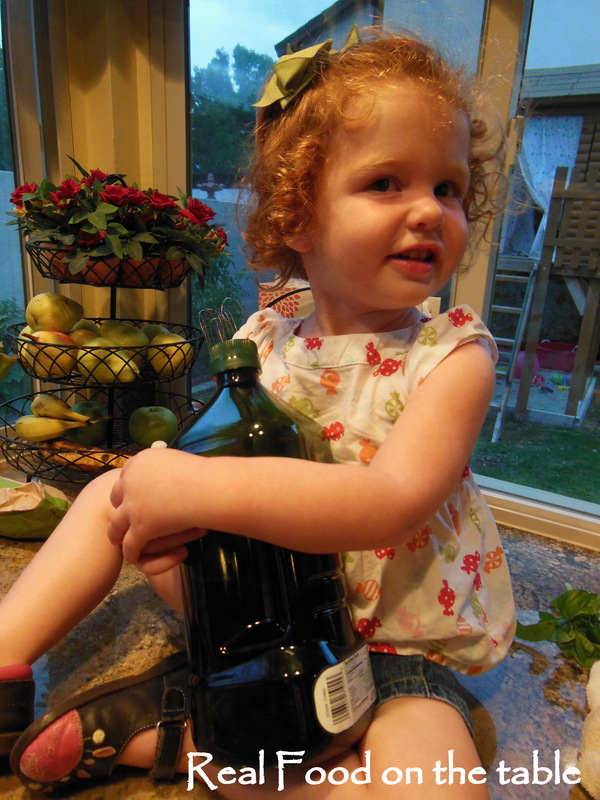 I had an extra special olive oil keeper just for this very special drizzling step in the recipe! I baked the whole deal at 350 degrees for about 35 minutes until the top was nice and bubbly and golden. I served it up with some lemon garlic peas followed by a simple green salad. Quick, Easy, & Yummly. Here’s the complete recipe for Scalloped Tomatoes, adapted from Food52. I have a few poignant food memories going back to my childhood. One involved liver and onions and requesting it as my birthday dinner just because I knew my sisters hated it and would HAVE to eat it because it was my birthday request. Another involved my grandmother ALWAYS giving me a snack to eat in the car on my way home from her house. After one particular visit, she had nothing to offer in the snack arena except for a couple of cold brussels sprouts. Rather than break tradition, I opted to take her up on the brussels sprouts offer and proceeded to nibble on them all the way home. Admittedly, brussels sprouts have a certain, shall we say, reputation. 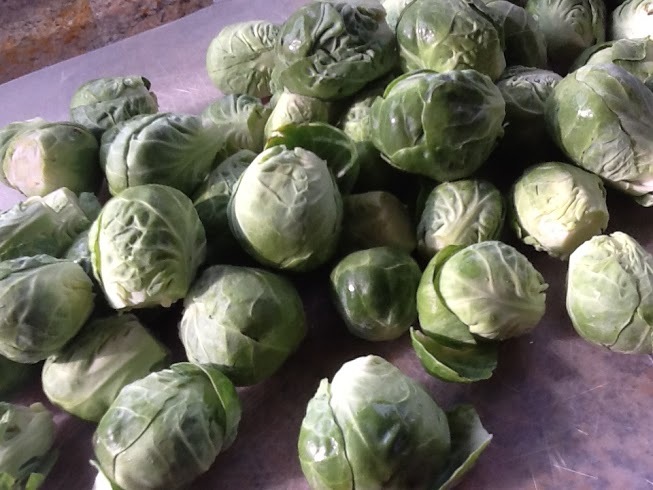 But I assure you that any childhood traumas caused by this poor veggie can be obliterated with one simple recipe – Maple Bacon Braised Brussels Sprouts. 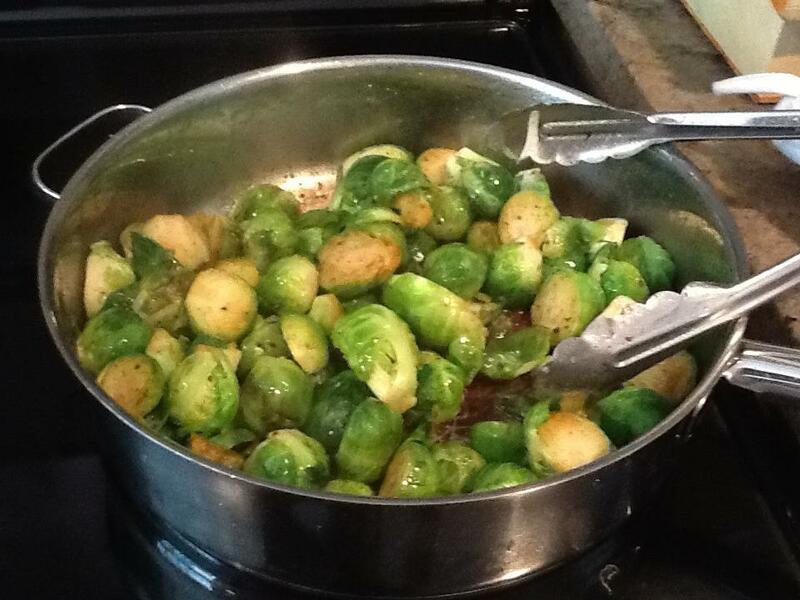 We discovered these one year around Thanksgiving time, and haven’t looked at brussels sprouts in the same light since. But before we get to the sprouts recipe, let’s talk quinoa again. Because quinoa burgers were the main course to which the brussels sprouts served as a side. Super simple burgers. Tasty. Moist and yet hold together well. Start by cooking 1 cup of dry quinoa as directed on the package. 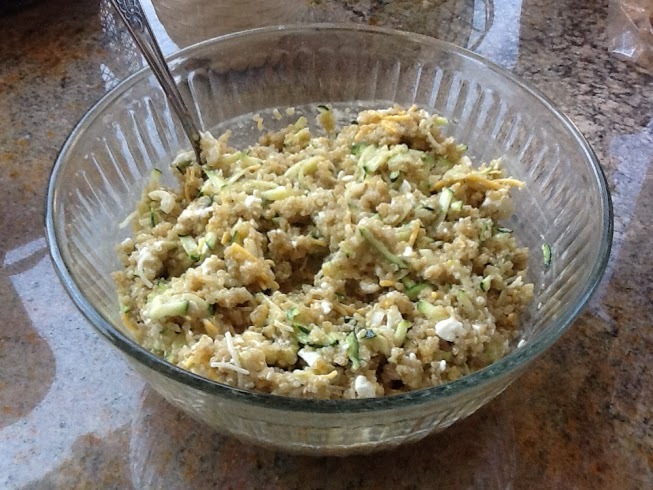 After cooked and somewhat cooled, add cheddar cheese, cottage cheese, grated zucchini, eggs, flour, green onions, sugar, pepper, cumin, salt and garlic powder. Your mixture will look something like this. I actually made this ahead of time and left it chilling in the fridge all afternoon until dinner time. Heat olive oil in large skillet. Once oil is hot, reduce heat to medium or medium-low and drop the quinoa mixture by 1/4 cupfuls into oil. Cooking longer on a lower temp will give them longer to have a good consistency without getting too brown. I fry these about 4 minutes per side until they are golden brown. It’s kind of the “pancake concept” where your first batch won’t be as good as later ones until you get your frying temp just right. For this reason, you may want to start out with just one patty and then when you have your heat regulated, you can do 4 – 5 at a time. So now for the brussels sprouts . . . rinse your sprouts well and trim them. Chop 8 – 10 slices of thick cut bacon into pieces and cook bacon until crisped and brown. Remove your bacon with a slotted spoon and set aside. 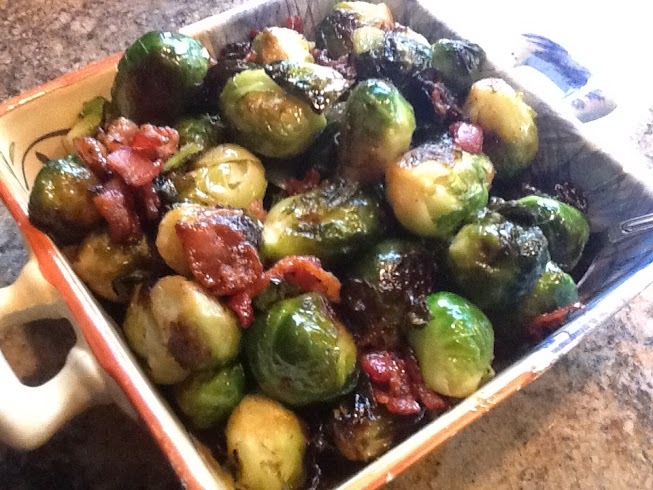 Put your brussels sprouts into your bacon drippings and cook, stirring frequently until they begin to brown. Continue cooking until tender. Add bacon back into skillet and add maple syrup. Heat until syrup coats the sprout and they appear caramelized. 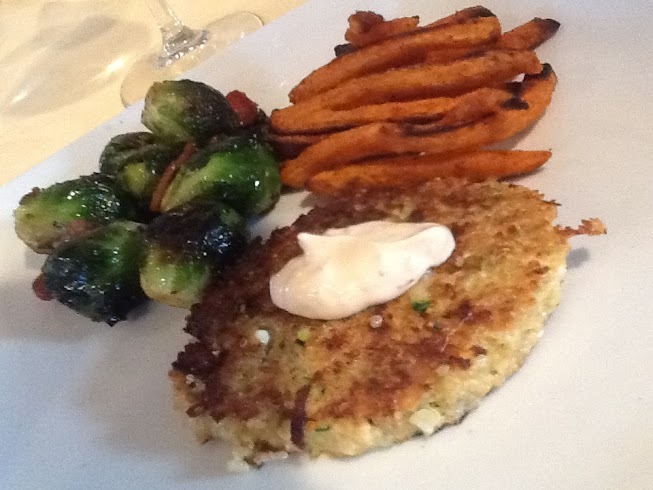 I love serving this great quinoa burger and brussels sprouts combo with sweet potato fries. You can ues a chipotle mayo to accent the burger AND dip your fries. For the Quinoa Burger Recipe, click here. For the Brussels Sprouts Recipe, click here. I’ve roasted my share of veggies, cauliflower, green beans, brussels sprouts, and the list goes on and on, but for some reason, it never occurred to me to roast carrots! Boy, have we been missing out. These little gems are so easy and just fabulous. And this coming from me who really is not the carrot’s greatest fan. I mean I eat the occasional carrot stick and all, but I can’t say I’ve ever loved them. Roasting, however was a total game changer. First I cut them into sticks. Then I toss them in a bowl and drizzle with olive oil. I then GENEROUSLY sprinkle with some creole seasoning. I guess you could use any seasoning that you are particularly fond of. I line them up on a parchment lined cookie sheet and roast at around 400 degrees for 25 or so minutes. On this night I also roasted asparagus and cauliflower (which I mixed with some sautéed onion and black beans) and served it all on a bed of arugula. Oh, and here’s one more picture of the three year old’s plate, just because she wanted me to take one of her plate too. Notice the conspicuous absence of arugula and rice replacement. Hey, she’s three, right?